HO HO HO!!! 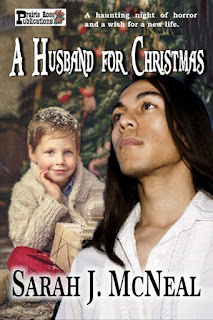 Prairie Rose Publications and Imprints has got the king of all Christmas gifts for YOU! Give everyone on your Christmas list (including yourself!) something wonderful to read--and at unbelievable prices! Join us for our VERY MERRY CHRISTMAS SALE today, Saturday, and Sunday--where many select books in our various imprints are on sale for .99 or FREE! Stop by the PRP blog for a wonderful world of reading selections at a steal of a deal! .99 and FREE? You need to stock up! Historical and contemporary romance, sci-fi, YA, contemporary and historical mysteries, and westerns...BOXED SETS, novellas and novels...COME ON OVER AND TAKE A LOOK! WELCOME TO PRP'S VERY MERRY CHRISTMAS SALE! She heard bursts of laughter and the clank of glasses bumping together as she tried to open her eyes. Someone played a piano in discord and feet stomped in time to the music. The smell of stale beer, old wood and body odor assailed her senses. Lightheaded and disoriented, it took a moment before her blurred vision focused. She straightened from her crouched position and stood on a wooden plank floor covered in sawdust, peanut shells and bits of refuse. The card that had dropped from her grasp lay on the floor at her feet. She reached down and clutched it in her hand as she heard a man speak in a ceremonious voice. “I now pronounce you man and wife. Harmonica Joe, you may kiss your bride.” Laughter resonated and cheers went up around the room. Lola clasped the card tight in her fist and glanced up just in time to see an angular face with mesmerizing coffee brown eyes framed in sandy hair move toward her. A day’s growth of beard graced his jaw but it only enhanced his handsome features. She backed away a step only to have someone push her forward. She collided with the solid body of this imposing stranger. The stranger’s arm wrapped around her waist and pulled her close as his head dipped down, his mouth capturing hers. The bristles of his chin scraped her tender flesh that caused a thrill to scamper down her spine. 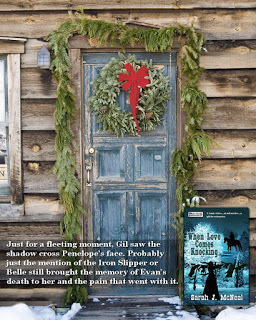 I am so excited to announce the release of A CHRISTMAS VISITOR from Prairie Rose Publications, an historical western romance just in time for the holidays. I wish everyone a very Merry Christmas filled with peace and love. 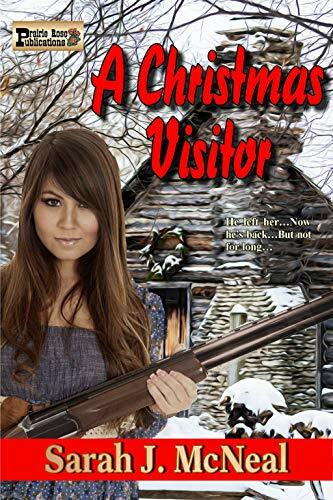 “Don’t you even think about stepping up on this porch, Sterling Alexander Thoroughgood, or I’ll shoot a hole in you big enough for a team of horses to jump through.” The woman wearing a faded blue calico dress aimed the shotgun straight at his heart…and sometimes his liver since she wasn’t holding the shotgun all that steady. “Tilly, darlin’, I’m so sorry to hear the news that Allister has passed away. He was a good man and a good friend to me.” He stretched out a hand to touch her arm, but she stepped back just out of reach. “Don’t you dare call me sweet names or my nickname, you snake. 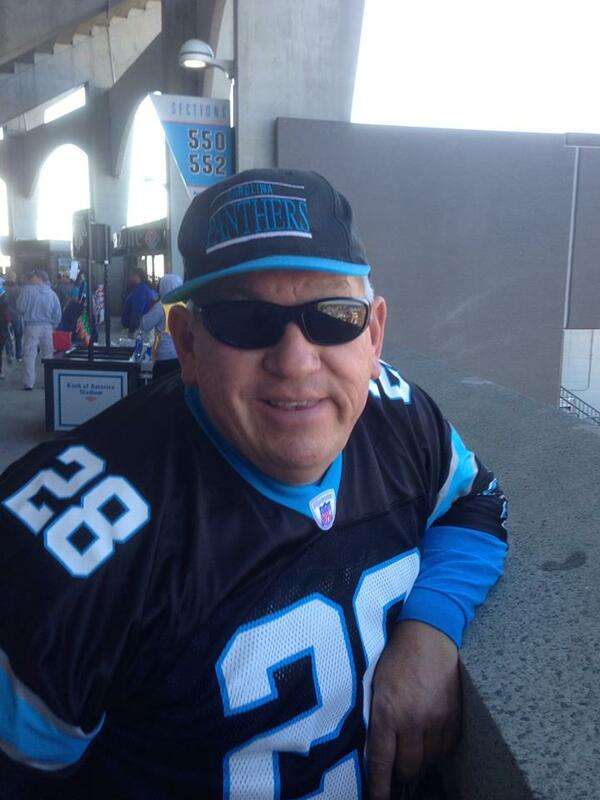 You’ve been gone three years and not a single word from you in all that time. All that sweet talk means nothing to me now.” She opened the door and stepped back to wave him into the house. “I need to get my horses settled in the barn first, but I’d be obliged if I could come in for some coffee after that. It’s been a long trip from Wyoming.” He tipped his hat and turned to step off the porch. Once he had hold of the reigns of both horses, he glanced back up at Matilda who still stood with her hand on the door wearing a strange expression on her face. “Don’t be surprised at the condition of the barn. Part of the roof has a hole in it. You might want to put the horses in the stalls on the left to keep ‘em warm and dry. There’s a little hay in the loft still.” Her voice seemed less determined and ornery. Sterling liked it better when she cussed him than when she pretended to be obliging. Matilda nodded her head as an answer, took up her shotgun and walked into the house shutting the door with a decided bang behind her. The world is a place full of turmoil and danger now. Many of us are afraid of what will happen next. But I am comforted, not by the words of politicians or preachers, but by the enduring words of J. R. R. Tolkien in his work THE LORD OF THE RINGS. It took him 12 years to write the famous fantasy, but it was worth every second as he wrestled over the story of how good won over evil, not with mightier soldiers, but with brave hearts and commitment. 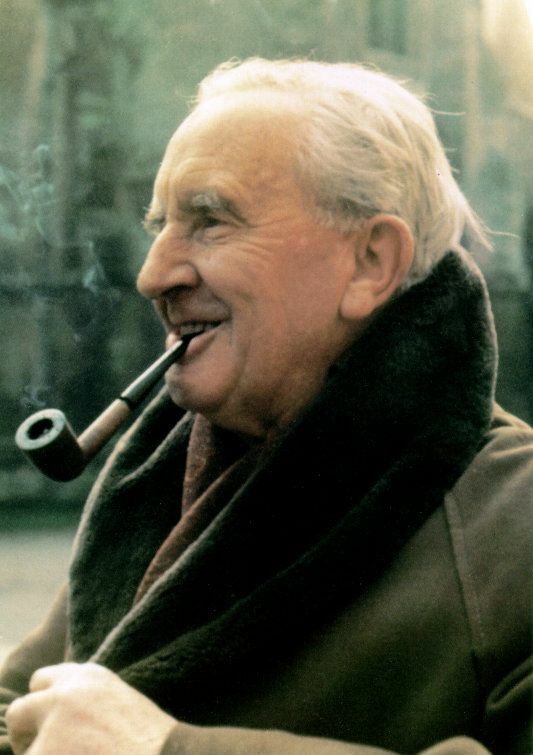 Tolkien’s words of wisdom and valor are immortalized now. My favorite among all the wonderful characters is Samwise Gougee, Fodo’s best friend who lifted Frodo’s spirits up even when all seemed lost. THE LORD OF THE RINGS is filled with inspiring messages about friendship, courage, truth, and most of all, hope. Sam: “I know. It’s all wrong. By all rights we shouldn’t even be here. But we are. It’s like in the great stories, Mr. Frodo...the ones that really mattered. Full of darkness and danger they were. And sometimes you didn’t want to know how they would end because how could the end be happy? How could the world go back to the way it was when so much bad had happened? But in the end, it’s only a passing thing, this shadow. Even darkness must pass. A new day will come. And when the sun shines, it will shine out the clearer. Those were the stories that stayed with you. That meant something, even if you were too small to understand why. But I think, Mr. Frodo, I do understand. I know now. The folk in those stories had lots of chances of turning back, only they didn’t. They kept going because they were holding on to something. Sam: “That there’s some good in this world, Mr. Frodo…and it’s worth fighting for. And this is why I love Sam. Through all they went through, when everything seemed lost, Sam never gave up, never surrendered to hopelessness. In times of trouble, what phrase or passage helps you get through it? Do you have a friend like Samwise Gougee who lifts your spirits with positive energy? What work of fiction always makes you feel better when you read it? 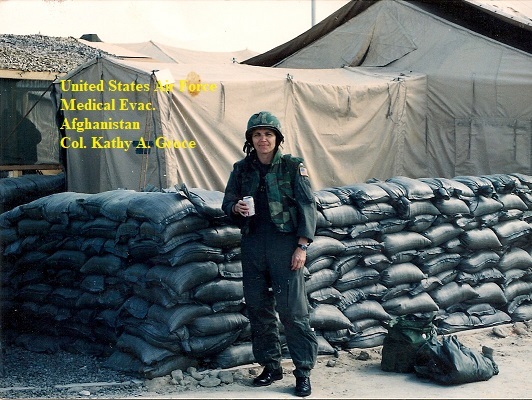 5 years ago I posted an interview I did of Col. Kathy Groce and her brother, Dennis Groce, both veterans of foreign wars. Dennis served in Vietnam and Kathy served in the Gulf War, Desert storm in Iraq, and 2 deployments to Afghanistan. Since the original post, Dennis died in his sleep after chronic poor health partly due to his experience in Vietnam and Kathy has retired from the Air Force after a career as a nurse in the Med-Evac unit in which she served. They have both paid a price for their service to our country. 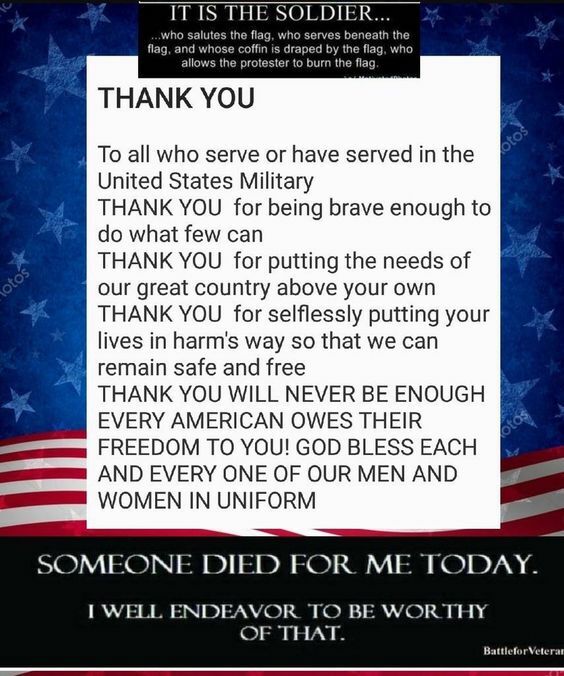 For Veteran’s Day, I’d like to share that post again. 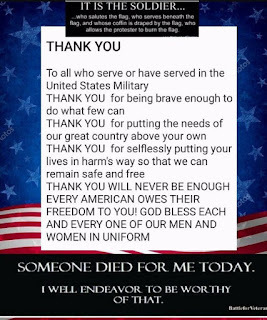 I want to thank Kathy Groce and her brother, Dennis for sharing their thoughts and feelings with us about their service to our country. It is such a privilege for me to have know both of them.